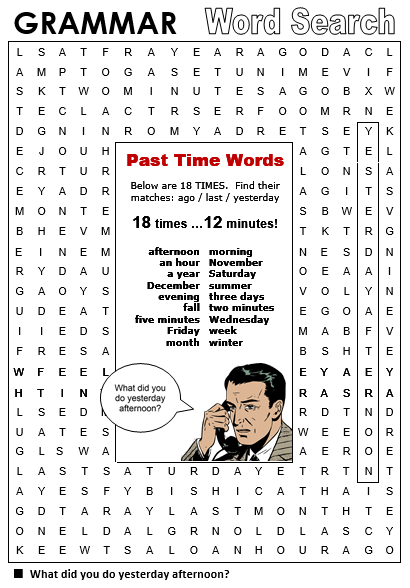 ​competition using past time words. 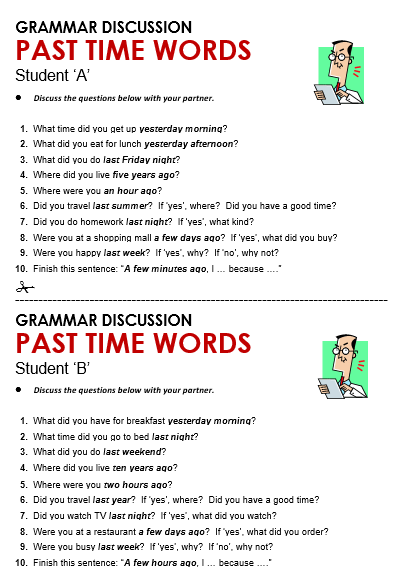 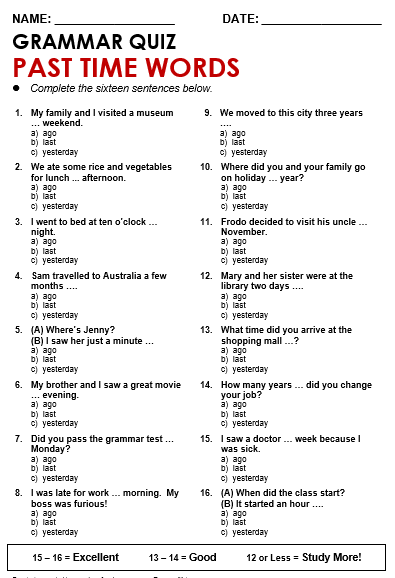 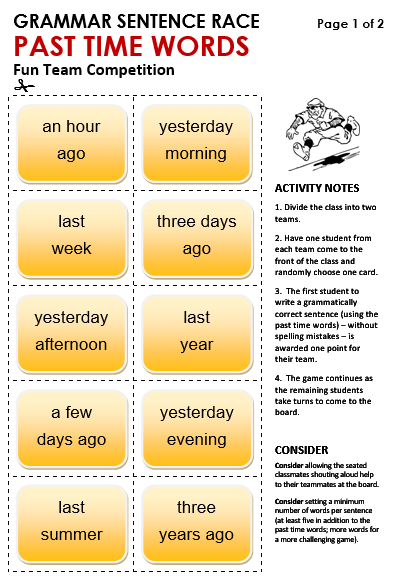 ​Student 'A' version and Student 'B' version, each with 10 different discussion questions. 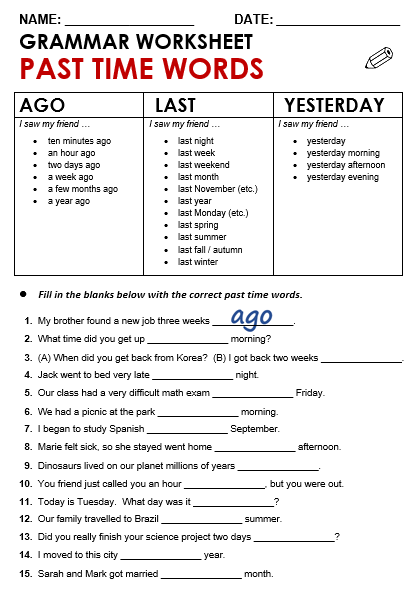 Fill in the blanks below with the correct past time words.